Grow your team while keeping costs down – Recruitment is a time consuming job, but the experts at Barnsley College make it a straightforward and simple process. The Business Development team will help to identify areas where training is needed and devise a bespoke training plan tailored to your business’ needs. Our Student Recruitment team will advertise the vacancy, shortlist candidates and arrange interviews. Once the apprentice starts employment and the apprenticeship programme, their dedicated assessor will provide you with regular updates on their progress. Provide someone with a career opportunity – Employing an apprentice provides someone with an opportunity to start their career. You can mould the apprentice to work how you want them to work and fit within your business’ culture and in return your apprentice will grow into a loyal employee. 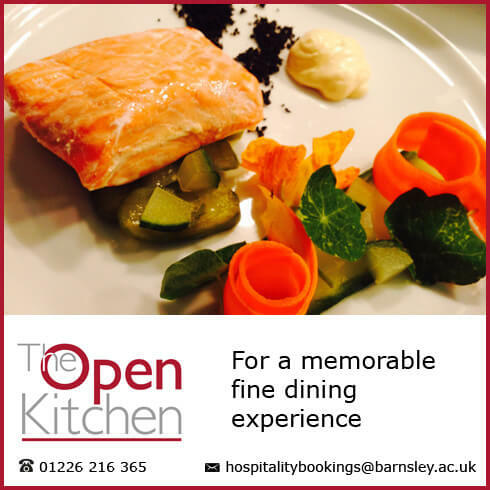 Address a skills gap – Barnsley College offers over 80 apprenticeship programmes. With so many available, all of your employees can receive up-to-date training which may help you target new clients and create new business opportunities. Utilise your Apprenticeship Levy contributions – Apprenticeship programmes can help existing employees and new recruits to develop fresh skills or progress to a higher position within the organisation. Plan for the future – A workforce has lots of skills and experience but these can be lost if employees leave the business. Employing an apprentice and introducing a mentoring system helps those skills to be retained within the business, ensuring the skills are passed on to future recruits. Boost productivity – Training helps employees to be more competent in their role. Apprenticeship training can be completed in the workplace and around existing working patterns, so disruption on the working day is minimised. Access the latest industry knowledge and technology – Apprentices access up-to-date technology and knowledge which may help your business become more efficient, profitable and competitive in the future. 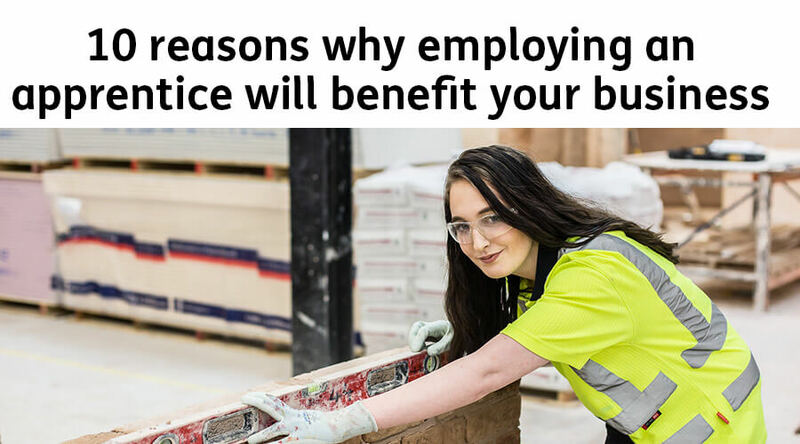 Enhanced brand image and reputation – Employing apprentices has a positive impact on a company’s corporate social responsibility and will help to build a strong brand image and reputation for investing in staff. Motivate your employees – Having a trained workforce who have the right skills, knowledge and equipment to fulfil their duties will lead to increased job satisfaction, productivity and profitability. Career progression – Apprenticeship programmes are available on a variety of levels: Intermediate, Advanced and Higher. These offer progression options for all of your employees to develop new skills and progress within the organisation.